Lakewood Ranch Medical Center offers both inpatient and outpatient surgery using minimally invasive, robotic and open procedures. Care begins with the physicians, known for their surgical expertise, who diagnose the most appropriate treatment. Their timely and accurate diagnoses provide the foundation for successful surgeries and better recoveries. To ensure high quality nursing care, a professional perioperative registered nurse is always present in each operating room. They assist in techniques that lower infection rates and help you heal faster. Lakewood Ranch Medical Center's mission is to provide medically advanced, high quality surgical services with compassion and respect for all patients. In the past, open surgery was the only option available to surgeons when they needed to see inside a patient's body or remove or repair an organ. Today, minimally invasive technology completely changes the way doctors approach patient care. Previously, having surgery meant spending several days in a hospital and weeks in recovery, leaving you with lengthy scars. 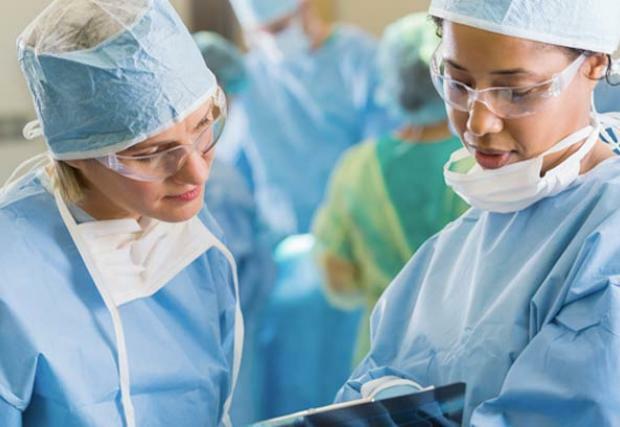 With minimally invasive surgery, surgeons use advanced technology to make small, pencil-sized holes in the body while video equipment provides a magnified view of the surgical site. Surgeons perform the surgery through these incisions so patients often experience smaller scars and faster recoveries. Physicians at Lakewood Ranch Medical Center are recognized for their expertise in performing and developing sophisticated minimally invasive techniques. Minimally invasive surgical techniques may be utilized for procedures involving the appendix, gallbladder, intestine, endometrium and other organs. Even with minimally invasive procedures, surgeons can have difficulty accessing desired areas of the body at times and their range of motions may be limited because of the techniques used. Robotic surgery, which uses 3D rotation and magnification tools, solves these issues by giving surgeons greater access to confined spaces of the body. From minor procedures for abnormal menstrual bleeding and permanent birth control, to major surgical procedures including hysterectomy, the Women's Center at LWRMC offers women of all ages surgical treatment that best meets each individual's needs. Inpatient and outpatient procedures are delivered by an experienced, compassionate team of medical professionals in a soothing, private setting. Comprehensive care and advanced treatments for patients with spinal conditions are offered at the Orthopaedic Spine and Joint Center at Lakewood Ranch Medical Center. Different approaches and surgical techniques can be performed for spinal conditions. The type of surgery performed is based on the physical findings at examination, the response to therapy, length of symptoms, results of imaging studies and response to diagnostic testing. The surgeon will assess which option will be best for your particular circumstance and discuss the risks and benefits of the procedure with you. For more information, please call 941-782-2279.